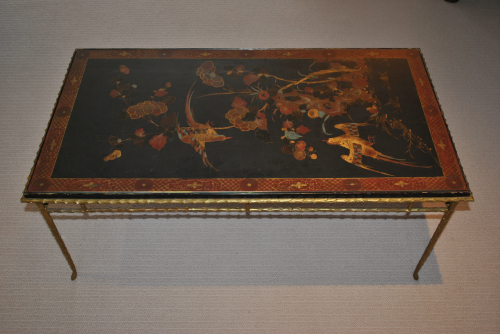 Gilt bronze coffee table with lacquered chinoiserie top. Created by Maison Bagues, Paris. France c. 1950. Exceptional example from the most pre-eminent design house of the period.